The Beach Bus travels up and down Coastal Highway (the major road that goes up and down the coast in Ocean City) 24 hours a day. During MARC (and all Spring), the bus will travel approximately every 15 minutes from 6:00 a.m. to 10:00 p.m., and every 30 minutes from 10:00 p.m. to 6:00 a.m. At just $3 to ride all day (exact fare required), it’s the safest, most reliable, and most cost-effective travel option, especially late night. For more information, see the full schedule here. Be careful where you park, read the signs carefully to see if you need to pay a meter, or if parking is for patrons of that business only (where you might be subject to towing). And as always — this should go without saying — DO NOT DRIVE if you’ve had anything to drink. Probably the cheapest and easiest way to get around if you’re not going far. Uber service in Ocean City just started last year, and since April is still considered the “off-season”, Uber may be a bit spotty. Still, it may be an option for some of you. MARC Early Bird Registration EXTENDED! We are excited to announce that we are extending Early Bird Registration for MARC! That’s right, we threw that February 14 deadline right out the window. Act fast while we’re still feeling lovey-dovey and generous from Valentine’s Day and REGISTER FOR MARC! If you have any other questions, head on over to our MARC page and browse the links. We’ll see you in OC! New Regional Correspondent Visits UMES! Our new Regional Correspondent, Brandie LeBlanc, visited UMES on Sunday and Monday! She met up with Gamma Omicron Brothers at Back Street Grill in Salisbury for dinner on Sunday night, and she attended one of our pledge meetings on Monday afternoon. She shared dinner with Brothers at Caesar’s Pizza Palace in Princess Anne on Monday evening. We had a great time meeting her, and look forward to working with Brandie as we continue plans for MARC in April! Link June 5, 2015 June 5, 2015 ebarbye G.O.L.D. 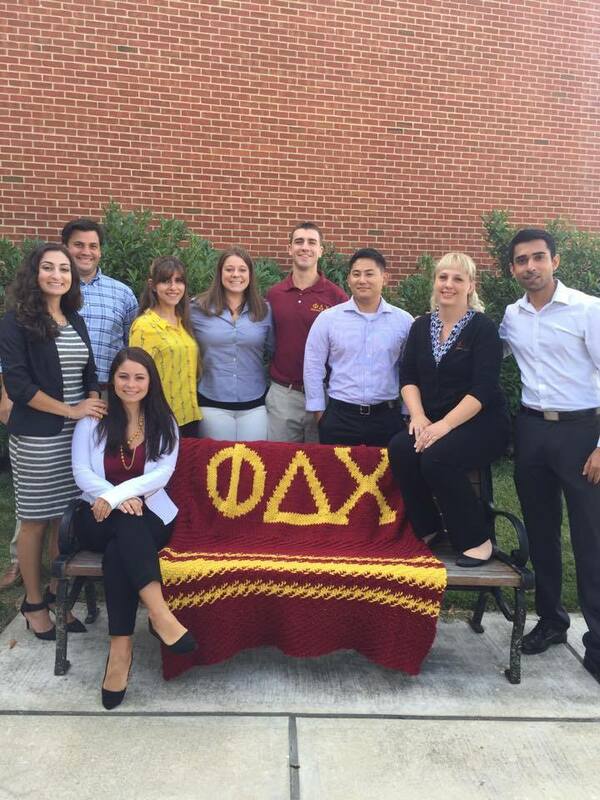 The 2014-2015 academic year was a great one for the Gamma Omicron Chapter! Read all about our year in the most recent edition of the Gamma Omicron Literary Dose (G.O.L.D.) – we guarantee you’ll enjoy it! Read the 2015 G.O.L.D. on ISSUU for super high-tech page turning effects. It’s like you’re holding our newsletter in your hands!